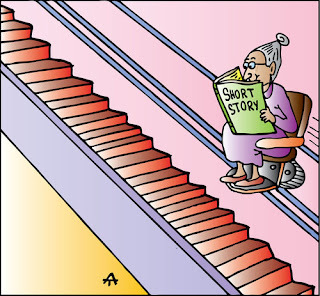 Here's why I love short stories. Are you a lover or a hater? Can a Woman Really Steal Your Man? I think the issue is much more nuanced than the article I reference in the post. If you are friends with somebody who turns out to be a killer, and he posts a FB status about getting killed, you probably shouldn't comment on it. See why. Can a Sisko romance keep the DS9 audience awake? SPOILER ALERT: No. 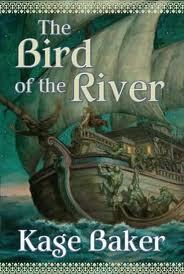 Kage Baker is greatly missed - Every Wednesday is book review day. Check out the latest reviews every week. Star Trek has done homages to many different stories before, but I don't think they've ever done Casablanca. That is, until now. "Profit and Loss" is that episode, and Quark (Armin Shimmerman) is Rick, even down to owning a bar. Thankfully, there was no "Play it again, Rom" or "Arrest the usual Ferengi," but the similarities are still there, and glaring. Somebody more familiar with the movie would probably notice even more homages (I haven't seen the movie in ages), but that doesn't stop the comparisons. Does it hold up? Despite a few good performances and a couple of nice scenes, I'd have to say "not really." 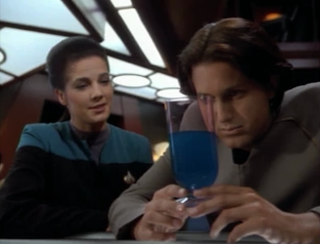 Quark is tending bar as usual when Odo (Rene Auberjonois) comes in asking questions about an illegal cloaking device, warning Quark that if he tries to sell it, Odo will be waiting for him. Gee, do you think that might become important? Meanwhile, a Cardassian ship, heavily damaged, is detected running to the station, and is brought in. On it are a teacher, Natima (Mary Crosby) and her two students, Rekelen (Heidi Swedberg) and Hogue (Michael Reilly Burke). They claim to have been hit by a meteor storm, but the damage on the ship doesn't add up. Natima is a former lover of Quark's, and Quark is stopping at nothing to try and get her to stay with him, which becomes even harder when it's revealed that the two young Cardassians are dissidents, wanted by the Cardassian government for treason. 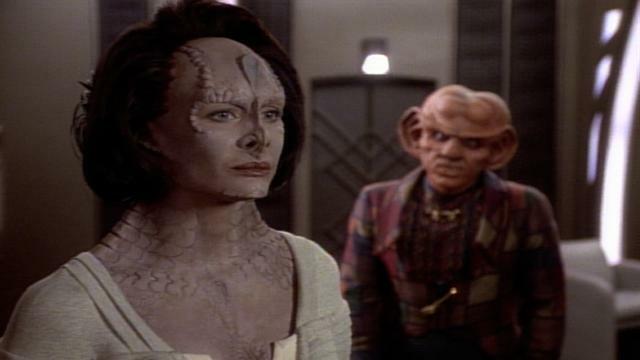 Garak (Andrew Robinson), the only Cardassian left on the station, reports it to them, and it becomes all the more imperative that Natima and her students get off the station. Will Natima stay on the station with Quark? Or will Garak's machinations prevent even that happy ending? And just which side is he on anyway? I'm a huge history fan, as you know. The only thing better than a good SF book in my hand is a really fascinating history book or historical biography. Nancy Goldstone is an interesting author because she covers some aspects of history that many people don't really think about much, at least not in the general public. I'm sure there have been scholarly articles about them, but I haven't seen any major publications about them. Four Queens is a great example of that. Yes, books have been written about the French and English kings in the 13th century, both Louis IX and his disastrous crusade from France as well as the cowardly Henry III. But we haven't seen anything about their wives, and the family that married its daughters very well. The kings of England and France, Sicily and Germany, all had wives from this family that ruled Provence, a family that was vassal to the Holy Roman Empire. Goldstone writes a very readable history, a narrative form of history that does not use footnotes (though she does provide an extensive bibliography at the end). Thus, some historians may dismiss the book. I don't know for a fact, but I get the feeling that there is probably some tension between those who approve of narrative histories and those who want something heavily documented. I like them both, though it would depend what I'm using it for on whether I found the book useful or not. As a general primer to learn something? I think narrative history is fine for that. I would not use it if I were writing my own history book, though. Anyway, that's beside the point of this post, which is that Four Queens is a great book. A full review of the book can be found on Curled Up With a Good Book. "Goldstone does a great job laying out the book, with chapters alternating between the four sisters as circumstances warrant. We travel from England to France, down through Italy and into the Holy Land, where King Louis IX is determined to lead a Crusade against the Moslems and almost meets his death. We see the details of all the royal courts, such as the relationship between Marguerite and her mother-in-law, who had ruled France well while Louis was coming of age and who was reluctant to give up her son once he got married. Goldstone brings these historical characters to life through primary source writings of bards and other historians of the day, as well as letters exchanged between the sisters, many of which still exist. Goldstone’s writing style brings you into the book and will make you want to read more when you really should be putting it down." And how can you go wrong with a book like that? One thing that Deep Space Nine has avoided, that many of the other Star Treks haven't been able to, is technobabble. Oh, how the wormhole works is pretty much technobabble, but most of the time the viewer doesn't get an in-depth dissertation on how it works. There have certainly been instances here or there where an episode has had some. But "Playing God" is the first one that has struck me as a lot of gobbledygook. That's not to say the episode is that bad, as it really isn't. But when the scientific problem of the episode is front and center, the episode stalls a bit. Thankfully, there is some fairly good stuff going on outside the science, and thus the episode is definitely watchable. Jadzia Dax (Terry Farrell), who received her Trill symbiont a relatively short time ago, has been sent an initiate in the Joining program on Trill, someone who she has to examine and make a recommendation on whether or not he might be suitable for the program. 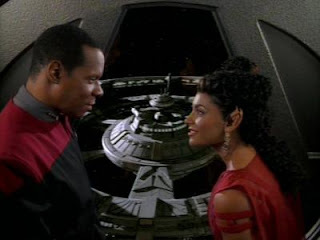 Jadzia had to go through the same thing when she was an initiate, and the person she was sent to was Curzon Dax, a harsh taskmaster who eventually recommended that she be expelled from the program. 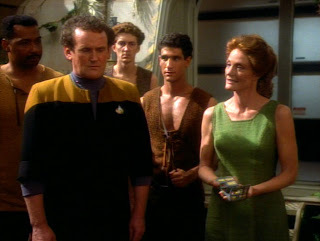 The new initiate, Arjin (Geoffrey Blake), has heard of Dax's reputation and is understandably fearful, but Jadzia is fighting hard to separate her identity from Curzon's. Jadzia takes Arjin on a trip to the other side of the wormhole, where they encounter something that damages their ship. Upon getting back to the station, they discover that what was attached to their ship is a lot more than it appeared to be. It's growing, and could cover the entire Bajoran sector and beyond if they don't stop it first. Meanwhile, Chief O'Brien (Colm Meaney) is hunting a bunch of Cardassian Voles (basically, pests like mice only about three times as large) who are wreaking havoc all over the station. I do really like the original CSI TV show, but I haven't had the chance to watch them in quite a while. So long, in fact, that I still had episodes with Laurence Fishburn on them from 2011 on my DVR. What's a guy to do when he's stuck at home with his tooth killing him and an excessively swollen cheek? How about catch up on some CSI episodes! So I've watched the show for years (*ahem*) but hadn't really read any of the tie-in novels until a few years ago. So, in honour of my enforced layabout last week, how about making this week's book reviews about those novels? There are some good ones in there. Overall, I've read four of the novels over the years, and they've ranged from decent to outstanding. None of them will be considered great literature, of course. But they are fun books, interesting reads with a good take on the television characters. One problem with TV tie-in novels is that the TV show holds all the character cards. If they want to introduce some previously unmentioned sister or love child of one of the major characters, they can. The books can't do that. I've seen one Star Trek author talk about how the writers get to play with somebody else's toys, but they have to make sure they're all back in the toybox afterward, unharmed. Thus, you're not going to get a deep character study of Gil Grissom or Catherine Willows in a CSI novel. That being said, good tie-in writers can skirt the edges and do interesting things with them despite not being able to make fundamental changes to the character. Following are mini-reviews of the four novels I've read, with links to Curled Up With a Good Book reviews. Check Out Dave's Buttoned-Up Tumblr! Those of you who are connected with me through various other social media outlets (Twitter and Facebook, mostly) already may be aware of this, but I forgot to actually announce it here! You know how sometimes you have a thought, or see an image or a video that you want to pass along, but you don't want to do a whole blog post about it? 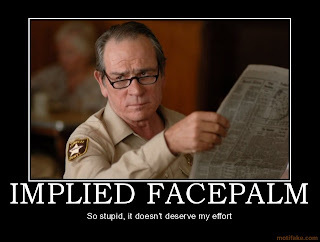 You have something to say about it, but it's more than 140 characters? I'm pleased to announce Dave's Buttoned-Up Tumblr, the micro-blog that is the companion to this one. Tumblr is what's known as a microblogging platform. It's quirky, it can be fun, and it's designed for quick little snippets of posts that are still too big for Twitter. It uses some of the same things as Twitter, such as hashtags and the like (but then again, isn't Facebook starting to incorporate those too?). Whenever I blog on here, I feel like I should do something fairly long. Not huge, mind you. But more than just a picture and a couple of sentences. Plus I don't want to inundate you with these types of longs posts. Not to mention that I found myself unable to keep up the pace I wanted. This Tumblr blog will be even more eclectic than what you're currently reading. It will have games, it will have video games. I don't like to blog over at Game Informer unless it's something fairly meaty (or at least with some meat to it, even if it's fluffy meat). So those video game posts will go to my Tumblr blog instead. It will have commentary on society stuff. It will have history. I follow (and re-blog) some ancient history Tumblr posts on there, so certain segments of my readers who know who they are might be interested in checking out those posts just for that. Basically, it will have everything. Just whatever I feel like passing along. If we're friends on Facebook, then you will get most (but not all) there by checking out my profile. Some will be sent to Twitter as well. But as the person who does the blog and likes his stats, it would be great if you actually followed the blog itself. I even set up comments! So you can leave your thoughts there. 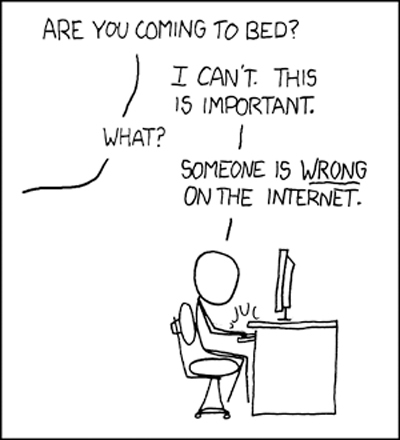 And we all know the urge to leave comments! It's been one of those weeks, unfortunately. It's turned into a short work week, which is one good thing. The bad thing is the reason it was short. Sure, we had a holiday on Monday. Happy belated Labour Day, everybody! But Wednesday morning, I woke up to some pain in the top-right part of my mouth. Let's just say it was throbbing for most of the day on Wednesday. I was able to get through work and get home, but it was very hard to get any work done with that constant distraction. So why didn't I call the dentist immediately? There was some question of whether I would be going to our current dentist or find somebody new. I figured it wasn't that bad, that I could get through the day, talk it over with the wife, and go the next day. If I had to leave work early on Thursday for an appointment, I would. Unfortunately, Wednesday night, the pain just got worse. I was beginning to think that I should just stay home on Thursday and immediately call the dentist. This plan was confirmed when I woke up at 1:30 am and found that my cheek had swelled to gargantuan proportions. What is the definition of life? Of sentience? Star Trek has asked that question many times in its time, and "Shadowplay" kind of asks it again. This question isn't the main point of the episode (or maybe it is, but it's not highlighted very much), but it does sit within the episode and is at the heart of the climax. I'm of two minds about the episode, and those two minds are a bit at war with each other. The side of my mind that loved it found the Odo (Rene Auberjonois) story incredibly touching and well-performed, the Jake Sisko (Cirroc Lofton) and Ben (Avery Brooks) story very good too, and the Kira (Nana Visitor) one not so much. The side of my mind that didn't like it points to the fact that there are three stories in this one, and none of them are given a lot of time to work. The fact that two of them *do* work despite that problem speaks well of Robert Hewitt Wolfe's writing, and the acting involved. Thus, I have to say that ultimately, I loved the thing to pieces. Dax (Terry Farrell) and Odo are on a mission to chart an unknown particle field on the Gamma Quadrant side of the wormhole. They discover that the field is made of omicron particles, some of the rarest particles around, and the field seems centered on a planet, so they go down to investigate. There, the natives initially think that our heroes are involved with the multiple disappearances taking place within the village. 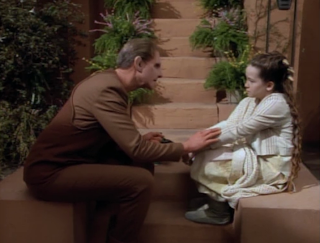 Soon, though, Odo is helping them with their investigation, while becoming very attached to a young child, Taya (Noley Thornton, who became much more prominent on the Voyager series). Her mother has disappeared, and she hopes that Odo can help find her. Meanwhile, back on the station, Ben insists that Jake get a job, and has already arranged for Jake to be an apprentice to Chief O'Brien (Colm Meaney). This storyline actually began in "Paradise". Unfortunately, Jake doesn't want to join Starfleet, but is reluctant to tell his father. Finally, with Odo gone from the station, Quark (Armin Shimmerman) seems to think he can get his cousin on board to smuggle some stolen artifacts, but Kira's on the case. That is, until Vedek Bareil (Philip Anglim) arrives on the station to distract her. Convenient, eh? Over the last few years, I've really developed a healthy interest in the history of the western Roman Empire and that era. I loved the "History of Rome" podcast (and am currently enjoying the "History of Byzantium" podcast that was started when the original ended). There's just something about that era that is inherently interesting. Yet I had never really read a completely comprehensive history of the empire. That is, until 2009 when I picked up How Rome Fell by Adrian Goldsworthy. It's not a definitive history of the empire, but it is quite the extensive history from around the time of Marcus Aurelius died in 180 AD until it finally fell in 476 AD (though the date of the ending is still debated, and depends on what you consider the Roman Empire to begin with, I think). The book is a very detailed history of all the ups and downs in the empire, the sixty years in the 3rd century where 65 men were claimed as emperor, the rise of the military as a king-maker (or emperor-maker, I guess) and all of that. If you like your Roman history, or just ancient history in general, you can't go wrong with this thick tome. It's extensively researched and it's also very readable. It's not super-dry like some history books out there. I still find myself picking this book up and thumbing through it when I'm trying to figure out something. For example, I saw this really odd movie, The Last Legion that supposedly begins with the last Roman emperor being spirited away from Rome from exile, taken to England and eventually (MAJOR SPOILER becoming King Arthur MAJOR SPOILER DONE). While I knew it was a fantasy, the beginning of the movie did seem based in fact. The name of the emperor was correct, for example. So I picked up Goldsworthy's book and re-read the last part to see what actually happened. Needless to say, liberties had been taken, though it was closer than some movies are. Goldsworthy has a wonderful writing style that I really enjoyed. The review's on Curled Up With a Good Book. 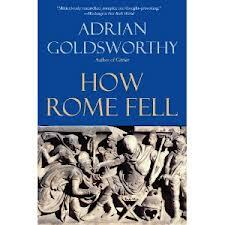 "Goldsworthy begins with the most important question: just how did Rome fall? Was it barbarian invasions? Societal decay and corruption? Opinions are divided on this issue, but Goldsworthy seems to see it as a combination of these things. Ostensibly, the Empire fell in 476 A.D., when the last Roman emperor who ruled from Italy was deposed by a Germanic invader. However, some see the Empire as having already fallen even before this date, with pretenders to the throne ruling before this. The Roman emperors since Marcus Aurelius died in 180 were much weaker for the most part than those who had preceded him. Throughout a period of 60 years or so in the third century, there were 65 claimants to the Roman throne, some lasting only days. Some say this internal strife is essentially what eventually killed the Empire, with the barbarians just being the executioners, and Goldsworthy seems to agree with that viewpoint." I encourage you to check it out. It really is a great book! Goldsworthy is also author of the excellent Antony & Cleopatra history. Technology can be a double-edged sword, and from the beginning of time, there have been those who see the rise of technology as work of the devil (or whatever evil being who happens to be around at the time). I'm sure Oog the Caveman thought that civilization had gone to hell when Katu made this new-fangled "club" thing. What's wrong with good old fashioned hands to wrestle down your supper with? "Going back to nature" is a common plot in any SF series, and sometimes even straight dramas. Would life be better without all of its contraptions? And how would people in the modern age deal with life if it suddenly became completely technology-free? Commander Sisko (Avery Brooks) and Chief O'Brien (Colm Meaney) stumble upon this dilemma in "Paradise," a decent episode that's let down by numerous issues. Charting some star systems around the wormhole for potential colonies, Sisko and O'Brien stumble across a world that appears to have a human settlement already on it, despite no colony being on the charts. They decide to beam down to investigate, only to discover that once they do so, none of their gear works. They are found by residents of the village, who tell them of their crash landing ten years ago. Alixus (Gail Strickland), the leader of the group, has forged them into a community that embraces nature, working the fields, making their own clothing, using herbs to heal the sick, etc. They tell Sisko that he might as well get used to being on this planet because they will never be able to leave. While willing to contribute to the community while they stay there, Sisko and O'Brien are unwilling to stop trying to leave. They discover that Alixus rules the colony with an iron fist, even going so far as to put people who do as little as stealing a candle into a metal box out in the harsh sun. But the colony has a darker side as well. Will O'Brien be able to get them off of the planet before Alixus breaks Sisko's will?